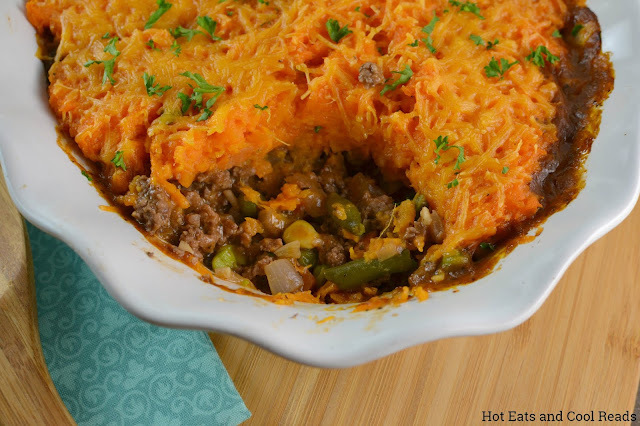 This comfort food casserole is perfect for dinner! 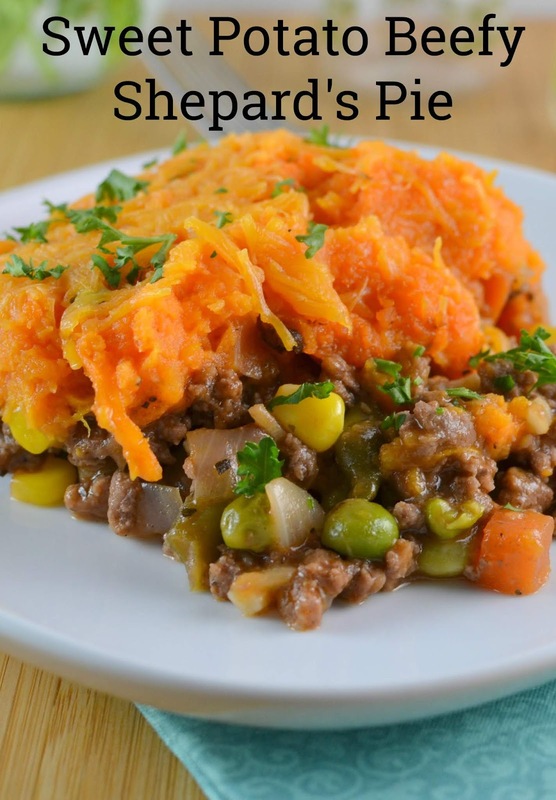 Topped with delicious mashed sweet potatoes and packed with delicious ground beef and vegetables! I'm slightly obsessed with sweet potatoes right now! It's fall, you can find an abundance of them in the produce section or at the farmer's market, and they're just SO delicious! 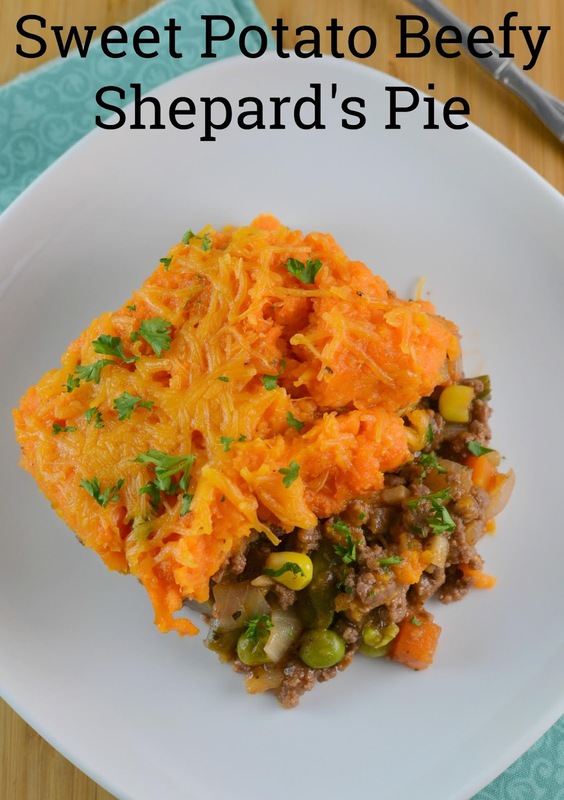 I've been roasting them, mashing them and now topping my shepard's pie with them! 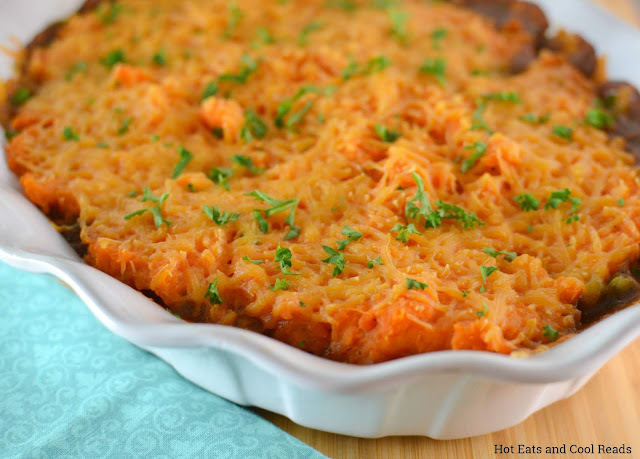 Remember those amazing Zesty Parmesan Mashed Sweet Potatoes I shared here last month?!? I used the leftovers to top today's Sweet Potato Beefy Shepard's Pie! 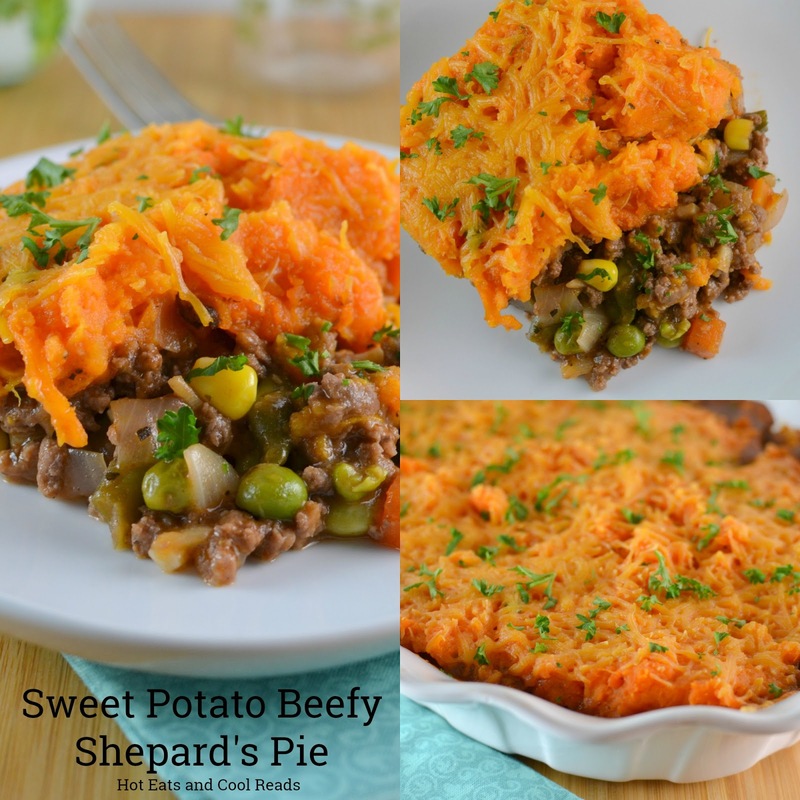 This shepard's pie is ultimate comfort food! The hearty beef and veggie mixture gets most of it's flavor from tomato paste and balsamic vinegar, which is an amazing flavor combo in this dish! Plus, it's topped off with cheese. Who can resist all that cheesy goodness? We ate this for dinner, and also had leftovers for lunch the next day. This would also be amazing with regular leftover mashed potatoes! Give it a try with leftover turkey after Thanksgiving instead of beef. I love re-purposing leftovers into amazing new meals. I really love getting into the kitchen and getting creative when the weather's cold outside! Today I baked some Apple and Pear Crisp, and yesterday made a batch of this Easy Homemade Spaghetti Sauce! My family just loves our favorite comfort foods! There's nothing better than food like this, food that fills your belly and warms your soul! Click the recipe title to check them out! Instagram is where you can find my travels, books I'm reading and food I'm eating! Preheat oven to 375 degrees and grease a 2.5 quart baking dish. In a large skillet, brown the ground beef, onion and garlic until the ground beef is cooked through. Add flour, stir and cook for one minute. The add the tomato paste, broth, balsamic, basil, salt and pepper. Cook for 2-3 minutes, then add the thawed vegetables. Remove from heat and pour into the baking dish. Spread evenly. Top with the leftover sweet potatoes and spread evenly. Bake for 20 minutes, then sprinkle shredded cheddar over the top. Bake for an additional 15 minutes. Remove from oven and serve with parsley sprinkled on top.